If you’re looking for a personalised, one-on-one service, with outstanding building design capabilities, then Mark Anthony Design are the team to talk to. We endeavour to form a customer focused working environment where our team will strive to assist each client with achieving their development goals and provide a solution they will be proud of. To us, quality and individuality are paramount. 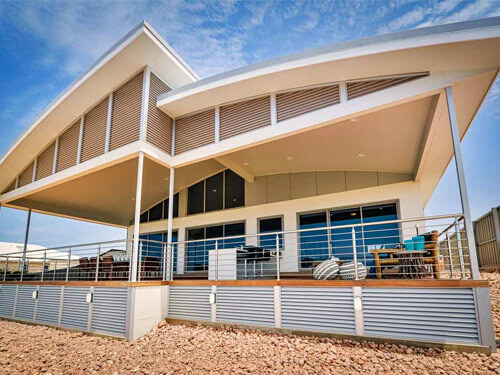 This can be witnessed by our extensive portfolio of contemporary and stylish residential designs within the Western Australian community. With 20 years industry experience, Mark Sertorio, who has an associate Diploma of Architecture, along with his small team of designers, has been providing personalised service and creative residential design to its ever growing list of clients. We specialise in bespoke residential dwellings, ranging from one off custom designed dream homes to multi storey office and apartment developments. With such a large range of project styles undertaken you can call on our team to satisfy your needs. Providing services from the initial client briefing, through to receiving of your building licence, we work closely with our clients and required external contractors to ensure quality service throughout. Mark Anthony Design has established a reputation of providing its clients with quality service and design, proven by our extensive list of repeat clients and newly referred customers. Through this, Mark Anthony Design has positioned itself as in industry leader in the Western Australian market place. At Mark Anthony Design, we can make your ideas become a reality! If you’re looking for an inspired design for your next residential development, then talk to our team today.